Today, mobile has become the widely chosen medium through which people consume content. But, for many reading on the mobile web is often a time consuming, inconvenient and frustrating experience. Being a company, who is keen on giving mobile users the best online experience possible, Google has always come up with new offerings, be it updating its Mobilegeddon for optimal mobile traffic or the recent expansion of its Accelerated Mobile Pages (AMP) Project that was launched in October 2015. Developed as an open source initiative, AMP enables links from search results to load directly on Google’s platform, speeding up the mobile web. AMP supported pages will not only load faster but also will consume ten times less data than the pages without its support. It works on a particular form of HTML, called AMP HTML, to refine the presentation of content and make it quick and smooth. Though Google has explicitly mentioned that adoption of AMP will not give marketers any preferential treatment in their Google’s search results but it will greatly benefit SEO and online marketing team of businesses. Speed being its major advantage, is sure to increase page views and reduce customer dissatisfaction, causing better ad views, sharing, and engagement with content. On this note, let us discuss how beneficial AMP will prove to be for online marketers. Here are seven positive impacts of AMP that will give a boost to your digital marketing strategy. All marketers want their site’s content link to rank high in the search engine results pages (SERPs). But, even after all the efforts they often fail to achieve that height. Today, more content is viewed on mobile devices because of its portability and anywhere access functionality. So, marketers are paying more attention into how their web page appears on mobile site view. 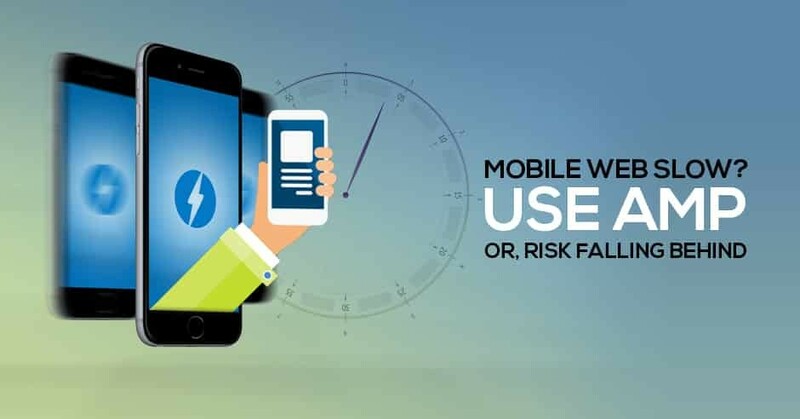 Keeping in mind the difficulties marketers face in providing an uninterrupted mobile experience to their user, Google came up with AMP project to boost page speed and support mobile-readiness of your websites. As a result of which, AMP-enabled content will have the opportunity to occupy the top slots in Google search list. Earlier while trying to use Facebook’s Instant Articles feature, publishers use to face certain limitations regarding their participation in the process of publishing. But, this will certainly not be the case with Google’s AMP. To use AMP, you need not be an expert. Little knowledge or the willingness to learn will be sufficient to format content and make it readily available to users. By making it an open source project, Google offers scope for more improvement that will make way for better future initiatives. The company knows that the more you share knowledge, the more you gain. Hence, keeping AMP open to developers for further additions, expansion, and even experimentation, Google ensures that AMP is flexible enough to adjust to the changing needs of the publishing world. Google knows its responsibility well, and that is perhaps the reason that it doesn’t restrict itself to any particular area of service. Just implementing AMP will not be enough for marketers to improve their SEO that the internet giant understands well. So, to tell publishers how well their AMP content is doing, AMP will be getting analytical support from several analytics providers like comScore, Adobe Analytics, Parse.ly, and Chartbeat. Using AMP, your content is bound to rank top in SERPs which means that the chances of your content getting noticed by the readers are likely to increase. The more attention your content gets, the more will be the CTR which in turn will make your content accessible to more audience. Based on the analysis made so far, AMP stands out to be a promising opportunity for publishers and marketers as it will help them keep pace with the changing trend towards mobile-optimized content. AMP is definitely a convenient option for faster page load time and for drawing more traffic to your site. With increased site speed, your visitors are sure to be impressed, getting encouraged in coming back for more in the future. With an easy-to-understand help page, Google has made it easier for you to develop an AMP version of your site. If you want to unleash the prospects of Google’s AMP, then do it right away or be ready to get defeated in the struggle for survival in the digital battleground.